Pics from Jam Session | Ukulele Kids Club Inc. 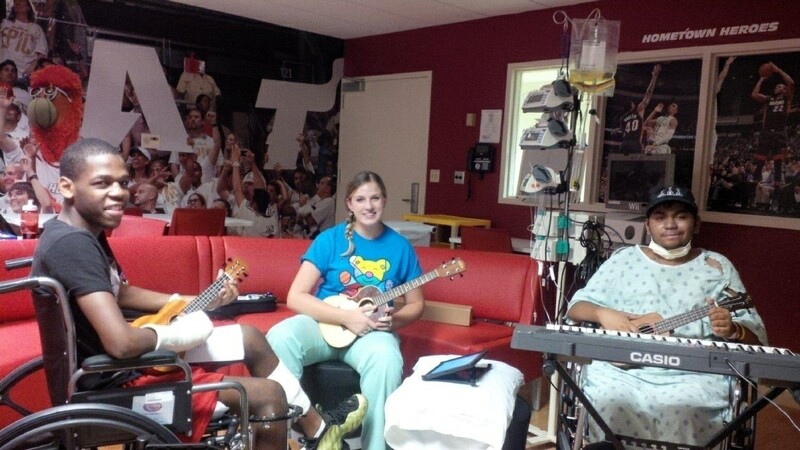 Here are some pictures from a “jam session” that we organized between two incredibly talented patients, Brendon and Drequan. Brendon is rocking the UKC hat as well! Neither guys have gotten to have a lot of interaction with peers their own age, so it was great to see them not only jamming together, but discussing their diagnoses with each other openly. 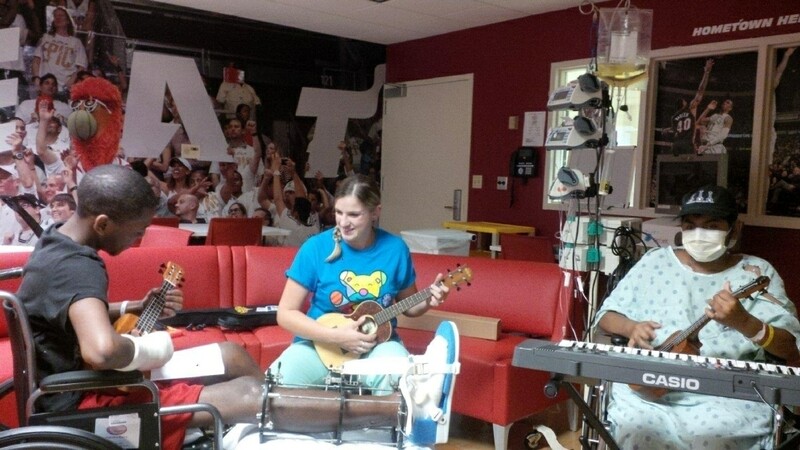 They also shared ways to cope with what they’re going through both physically and mentally, which of course included music!